Aida M. Araujo, (nee Queiroz), 80, passed peacefully on April 13, 2014 at her home surrounded by her family. Born and raised in Sopo, Villa Nova de Cerveira, Portugal. Aida has lived in Union since 1977. She was a homemaker that loved cooking and gardening. Aida is pre-deceased by her son Rui Araujo and her brother Rui Queiroz. She is survived by her husband David Manuel de Araujo, her daugher Maria and Mario Teixeira, her son Tony and Mindy Araujo, four grandchildren, Brian and Kimberly Teixeira, David and Nicole Araujo and her brother Joaquim Queiroz. A Mass of Christian Burial will be held on Wednesday, April 16, 2014 at 10:15am at St. Michael the Archangel Church, Union. Interment Hollywood Memorial Park. Visiting hours, Tuesday 5 to 9 pm at the Bradley Haeberle & Barth Funeral Home, 1100 Pine Ave, Union. 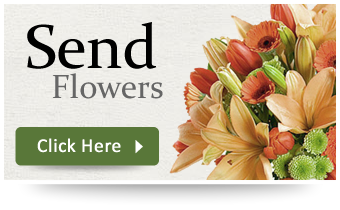 For further information, order flowers, or to send the family a condolence, please visit, www.bradleyfuneralhomes.com/.